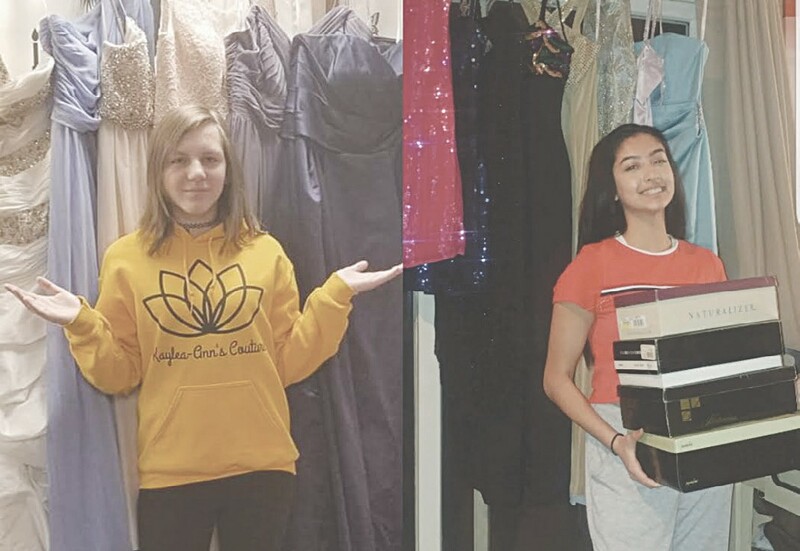 Kaylea-Ann Welsh (left) and Ananya Chikhale (right) are two of nine ambassadors who help promote the Forever Bella Hardship Program and participate in other community service projects. 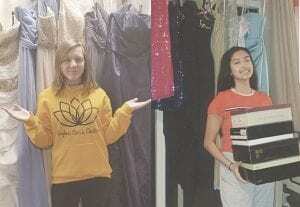 BURTON — About 100 prom dresses yearly are given away through the Forever Bella Hardship Program. The free dresses are for senior girls in Genesee County to allow them to attend their senior prom stress free. There is a great need for the dresses because of the loss of work in the county, according to Victoria Griggs, who owns Forever Bella Boutique along with co-owner Wanda Belton. Griggs said they don’t ask what the circumstance is for girls getting a dress through the program. Forever Bella Boutique works with all the high schools in Genesee County, according to Griggs. The idea for the program started with the original owner of the business then called My Dreams Do Come True, Walethia Aquil. Aquil had eight siblings. She couldn’t afford a prom dress and had to borrow one from a friend. “That inspired her,” Griggs said, who worked with Aquil six years. The program is promoted on Facebook. Through social media, community members can let Griggs and Belton know they have dresses to donate. Ambassadors and their mothers typically promote the Forever Bella Hardship Program on Facebook or Instagram. Griggs said every senior girl deserves a prom dress because the prom is a final farewell to their 12 years of school and a stepping stone in their lives. “I think it’s important for a girl to be able to get dressed up and feel like a princess her last hurah of high school,” she said. Those in need of dresses should talk to their senior advisors or counselors. Anyone who would like to donate a dress or is interested in being a business sponsor of a young lady for prom for $100 and over, should visit the boutique’s Facebook page. Details: visit Forever Bella Boutique on Facebook or foreverbellaboutique2018@yahoo.com.